The European Commission has today confirmed that its position on an independent Scotland’s EU membership remains unchanged from previous statements, following yesterday’s comments about the possible secession of Catalunya from Spain. The EC said that comments made yesterday had been misinterpreted by many and that they wished to make it clear that they would not interfere in the internal affairs of Member States – including on Scottish independence. In a statement by EC spokesman Olivier Bailly, whose response to a question on Catalunya was interpreted by some as indicating an independent Scotland would not automatically be given entry, the EC’s position was clarified. Mr Bailly said: “The position of the Commission remains unchanged and has been set out clearly, including in replies to Parliamentary Questions. In the hypothetical scenario of a part of a European Union member state wishing to leave that member state, it is first and foremost an internal matter within that Member State to define the arrangements. “There are several theoretical scenarios envisageable under international law. The Commission cannot speculate on which choices would be retained: in any case is not our business. The “unchanged position” to which Mr Bailly refers is based on the EU’s Lisbon Treaty and was laid out by EC lawyers in January 2012 who said an independent Scotland could be treated as one of two successor states, and that a separate seat for Edinburgh would require only a majority vote among member states. A spokesman for the Scottish government said that as far as it was concerned the situation remained that an independent Scotland would remain an integral part of the EU, “as it has been for almost four decades, and by definition Scotland already meets all the criteria of EU membership”. The clarification is a blow to Unionist politicians who seized on the original statement, unaware that it referred to Catalunya. However, despite Mr Bailly’s claim there had been “misinterpretation” of his comments 24 hours earlier, anti-independence campaigners continued to insist it meant Scotland would have to re-apply for EU membership. Meanwhile, the UK Foreign Office has now also waded in by accusing the Scottish Government of not knowing what independence will actually mean. A spokesman said: “The Scottish government needs to be clear on the facts of what independence actually means in practice. “The Commission has made it absolutely clear today that it will not interfere in Scotland’s independence negotiations, saying that it is an internal matter for us and that it is not the Commission’s business. 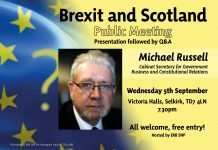 “Scotland’s membership of the EU after independence will continue; we are citizens of a Member State of the EU now and we’ll continue to be citizens of a Member State of the EU after independence. 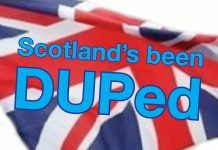 “In June of this year lawyers for the EU said an independent Scotland could be treated as one of two successor states.